You will receive Worldwide certificate that is issued by Vibrocomp and SoundPLAN International LLC and is accepted globally! Pal was born into environmental noise reduction as his mother – still active – was one of the pioneers in environmental noise modelling and mitigation from the early 1970’s. Pal is actively working in the field of noise reduction for 12 years. During this time he has held over 400 training hours on noise mitigation. Beside training and educating civil and environmental engineers of different organisations and QHSE officers, he has gained extensive experience in the education of government employees. Pal was expert in the education and training of 2 EU and 1 EU candidate government-organisations (Hungary, Romania and Serbia) in the field. 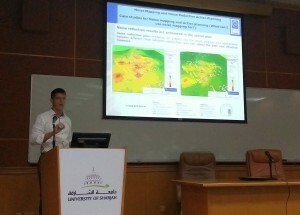 During those projects he trained employees of municipalities, national-, regional-, local-environmental agencies and transport authorities on how to make and validate Noise Maps and ActionPLANs. "It was an excellent workshop! We learned alot and enjoyed it at the same time!" "I would like to thank you for the hospitality, I'm happy to meet you and attend this session, which helped me to understand and apply the software Sound Plan professionally." "I am writing to thank you for your continuous support during one of the most useful training I have ever completed. It was really nice meeting you all (including Jochen but I do not have his email address).I look forward to expand my knowledge and skills in the noise modeling field and to meet you all again in another more advanced training." VIBROCOMP provides state-of-the-art know how and expertise to serve local, regional and national governments for the implementation of guidelines, legislation and regulations. We also provide training, education to the stakeholders in all levels of the environmental organization. The most important thing for a good working legislation is a supreme state organization with skilled employees. We offer education to the stakeholders in all levels of the environmental organization. Your employees will be trained by our internationally acknowledged experts in Noise, Air and Vibration pollution. The focus of the training is to present you how to adopt, use and benefit from the regulations. Our experts have over 30 years of training experience in the field. We have trained stakeholders in several Governments, Ministries, Environmental agencies in Eastern-Europe. 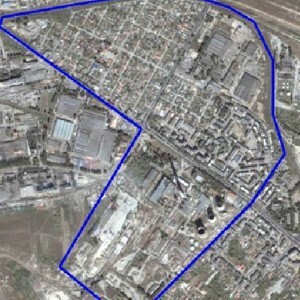 The aim of the project was to prepare the noise map for the city of Baja in Hungary and Novi Sad in Serbia. 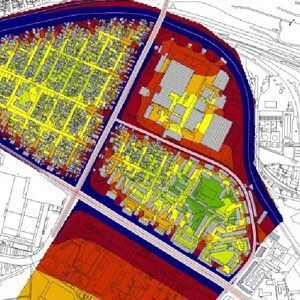 During the preparation of the noise map, technical assistance was given to the Serbian partners in noise mapping and also during the full implementation of the EU Environmental Noise Directive (49/2002 EC). During the project, several training sessions were held to the stakeholders of Serbian ministry, staff of city administrations and the environmental agencies. The goal of the trainings was to educate the stakeholders about the EU Environmental Noise Directive, present them different noise mapping software and to teach them how to make and evaluate noise maps of their own. The aim of the project was to implement the EU Environmental Noise Directive (49/2002 EC) into Romanian legislation. Technical assistance was given almost for a whole year to the stakeholders of ministry, national, regional, and local environmental agencies and to city administrations. Several pilot areas have been noise mapped and almost 100 training days were delivered to the beneficiaries. The goal of the trainings was to educate the stakeholders about the EU Environmental Noise Directive, present them different noise mapping software and to teach them how to make and evaluate noise maps of their own. 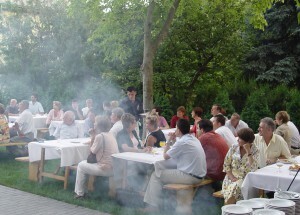 The aim of the project was to implement the EU Environmental Noise Directive (49/2002 EC) into the Hungarian legislation. During the project, several training sessions were held to the stakeholders of Hungarian ministry, environmental agencies and city administrations. The goal of the trainings was to educate the stakeholders about the EU Environmental Noise Directive, present to them different noise mapping software and to teach them how to make and evaluate noise maps of their own. 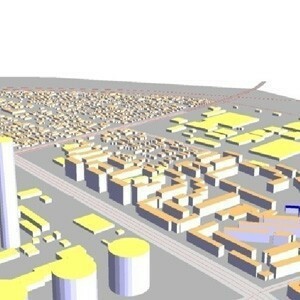 The educational objective of this training is to teach withoutstanding material, technological knowledge and up to date professional tools on how to do noise mapping with SoundPLAN 7.3 as a professional.